How can parents and caregivers get updates on their students' progress? Parents and caregivers can often be eager to find out how their children are doing in school. 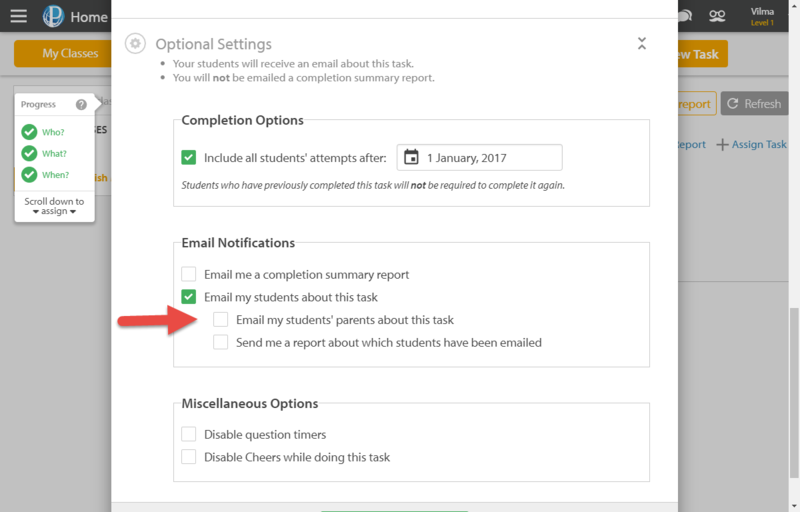 When students are emailed about a new task, reminded about an overdue task, or their assessment results are released, parents and caregivers can be sent a copy of the same email as well. 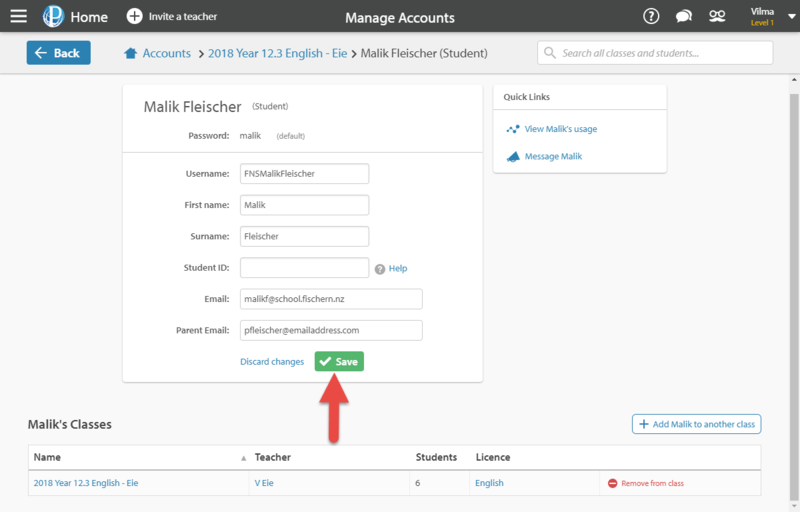 To enter parent email address information in bulk, just add it as a column to your class lists and send them to us (see How do I enrol my classes? for more details). Our Student Enrolment team can add them in bulk from there! Only one parent/caregiver email address can be associated with a student's account. 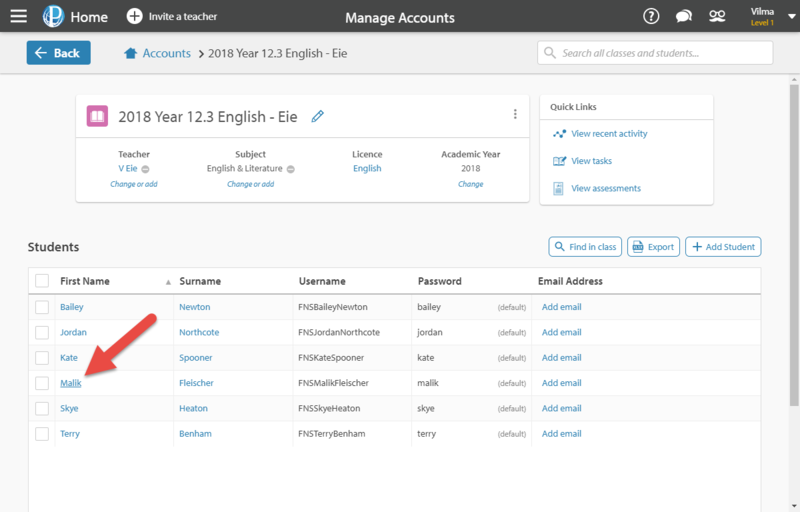 To enter or update parent email information for a few students, navigate to the Manage Accounts tab at the top of your Control Panel. 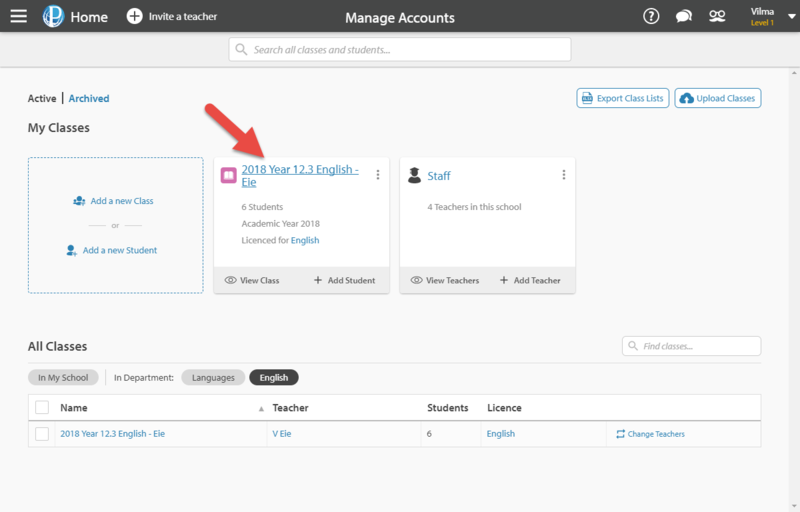 You can find the student Manage Accounts either by manually searching for their name in the Search all classes and students... bar, or you can select their class and navigate to their account manually. 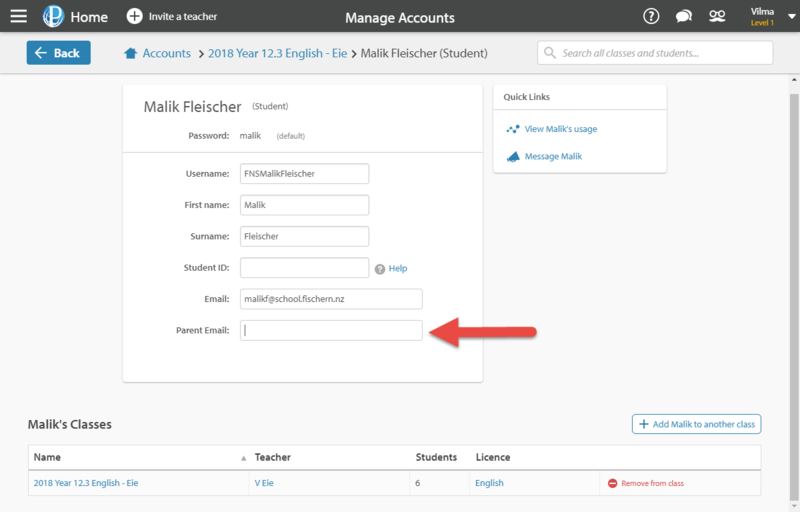 Select the student by selecting their name. Select the Parent Email section, and enter the students' parent/caregiver's email address. 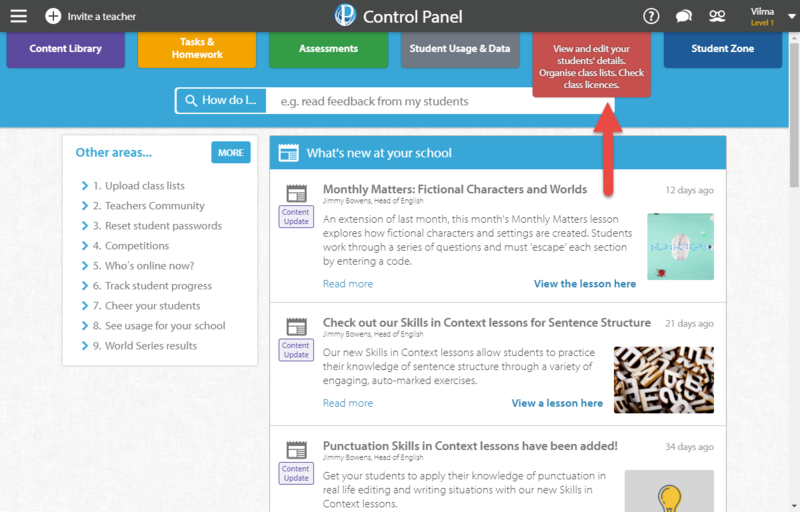 To notify parents of an upcoming task or assessment, tick the corresponding box when creating the task or assessment. This means that parents will receive the same emails as their children about this.